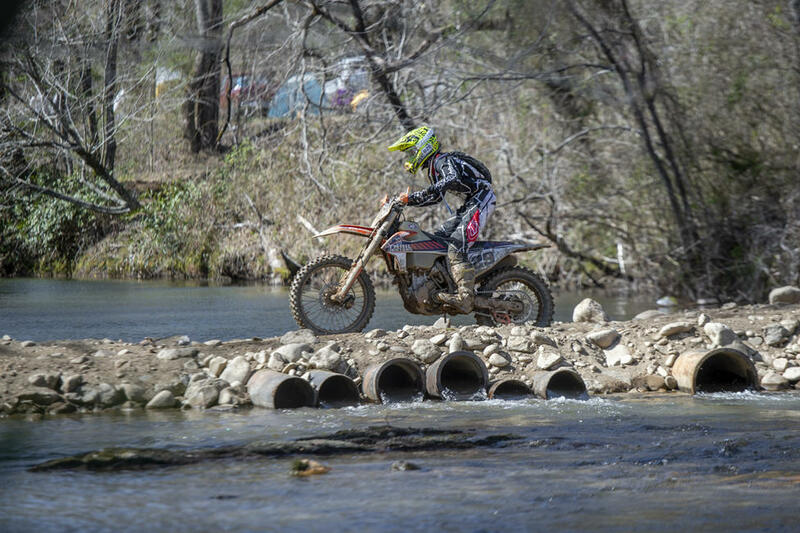 Round three welcomed clear skies and sunshine as the Trail Jesters KTM Racing team took on the FMF Steele Creek GNCC round 3 in Morganton, NC. With the wave of the green flag the XC2 line was off and rolling, it would be Ben Kelley grabbing the hole shot, and leading the pack into the woods. “The highlight of the race was definitely ripping the hole shot. I only had one last year and it feels so good to do it again and be able to run clean laps right from the start” Kelley said. With a flawless start Kelley was able to push himself to over a four minute lead over 2nd place, taking the win and 6th overall on the day. Teammate Johnny Girroir would end up cartwheeling in a pile up on the XC2 start, he got up feeling sore and found himself last in the class. Johnny put his head down and started to climb back checking in 5th XC2 at the end of lap one and within 40 seconds of 2nd place. After a hard fought battle with Girroir worked his way to 2nd place at the end of lap 4 and then pushed himself to the limit all the way to the checkered flag. Finishing the day 2nd XC2 and 9th overall Girroir said “I feel good, but not where I want to be. 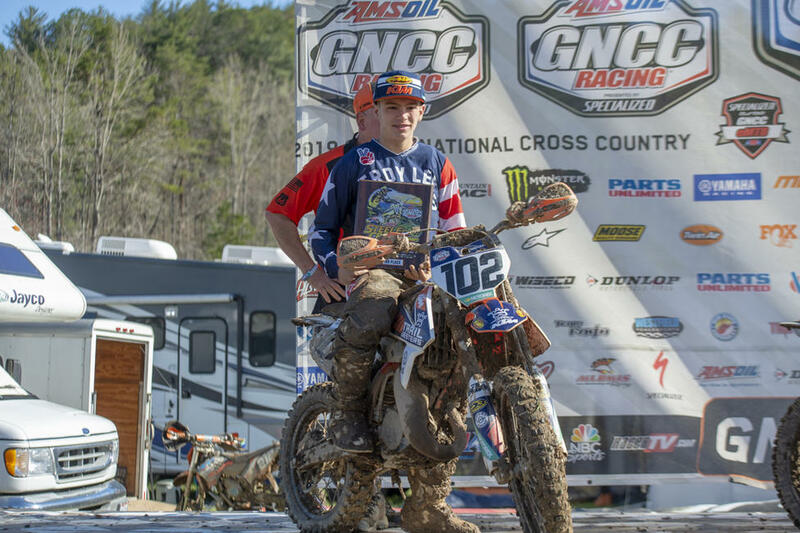 I was able to push but I know I can go faster.” Both Ben and Johnny have finished all three GNCC rounds this year standing on the podium. After getting off to a great start Jesse Ansley found himself in 4th place at the end of lap one with 3rd place in sight. Struggling to get into a good rhythm Ansley was still able to make the pass and hold onto 3rd place for laps 2 through 5 and then making the pass for second place on lap 6. In the Youth race, Brayden Nolette got a killer jump when the flagged dropped. He was out front of the pack a few corners in when he slid, was pushed wide and through the mud covering his goggles and causing him to fall back a bit. Nolette focused and pushed hard to make up ground and worked his was up to 4th place, and was aiming for the podium position when he had a nasty get off in a whoop section. 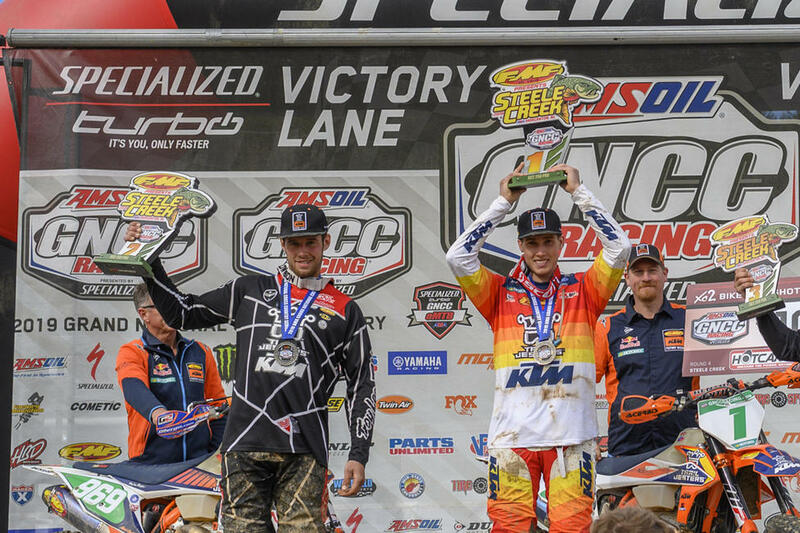 Thank you to our team sponsors: KTM, FMF Racing, Troy Lee Designs, Dunlop Tires, Motorex, Super B Batteries, Bullet Proof Designs, P3 Carbon, Seat Concepts, Motool, Squid Decals and Edelmann Sales for their continued support.